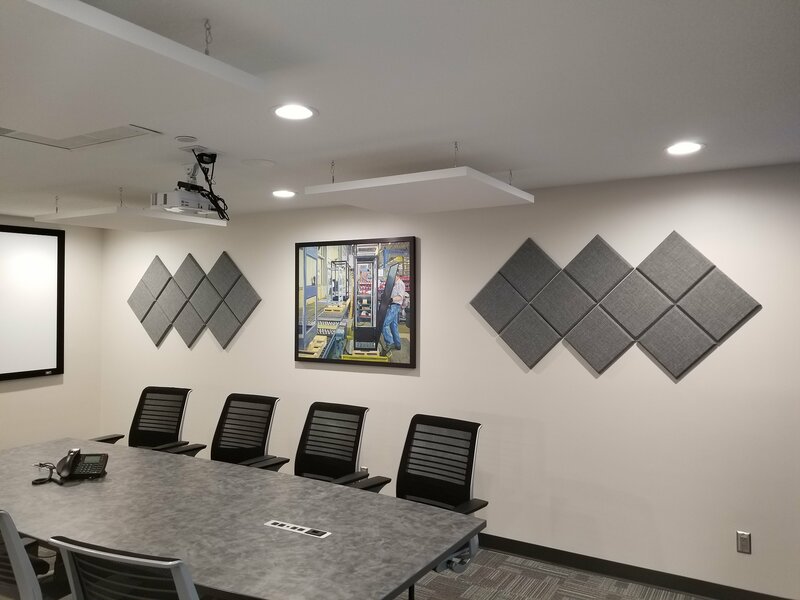 When we first visited this Crenlo board room it was quite evident they had an acoustical issue. Between the large whiteboard wall, glass door, mesh chairs and the low profile carpet, there was nothing to absorb sound and there was quite an echo. We installed Cloud Paintables™ on the ceiling and wall panels to help eliminate the echo. All the while we were able to maintain the modern sleek look of the room and keep it aesthetically pleasing. 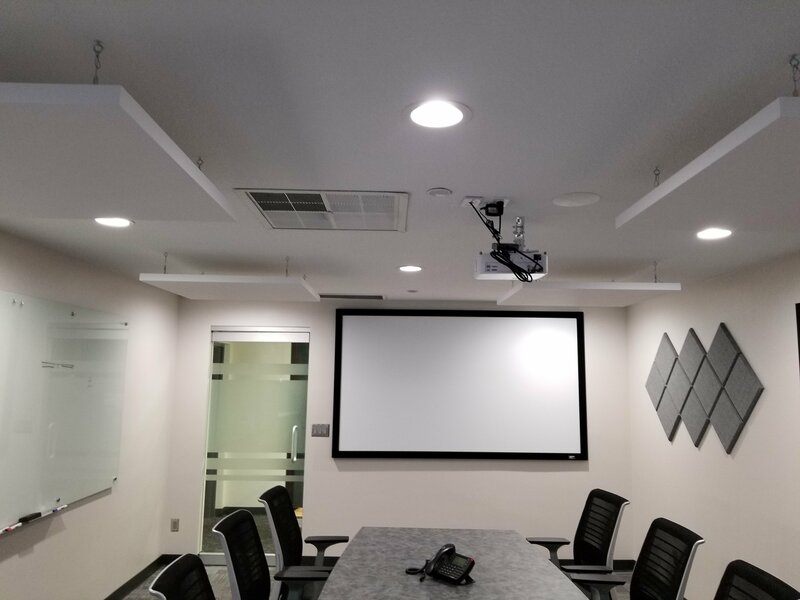 We have a long history of designing and installing AV systems in businesses large and small including Warehouse and Manufacturing, Education, Health Care, Retail, Restaurants and Corporate facilities. We are proud to service Rochester, Albert Lea, Austin, Byron, Cannon Falls, Chatfield, Faribault, Kasson, LaCrescent, Lake City, Mankato, Northfield, Owatonna, Red Wing, Spring Valley, St Charles, Stewartville, Waseca, Winona, Zumbrota, Durand, Holmen, LaCrosse, Sparta, Onalaska and everything in between.